Post your worst craiglist etc... ads. 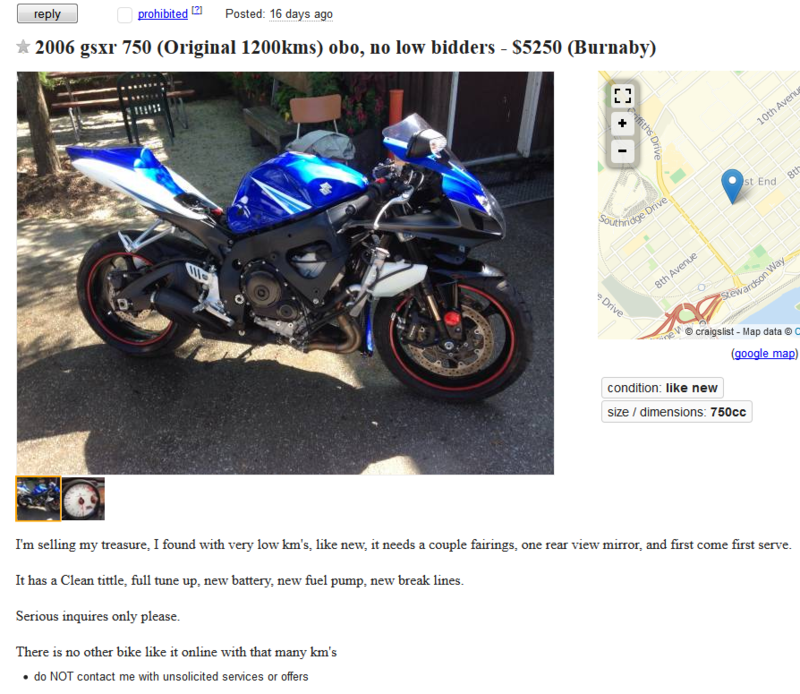 As the title suggests, post your best classified ads. Doesn't have to be bike related. Funny ad? ridiculous ad? Someone want a ton of money for a pile of crap? We want to see them. I usually scour my local classified for bikes/tools/what have you because I'm a cheap SOB and always come across some gems. Figure some are worth sharing. UPDATE: June 15 - Today, my bikes fairings are being professionally repainted. Will update pictures once repainted. It will be Matte Red/Black - DONE: June 19th. I'm selling my R6 or trade for Sport/Performance/Touring type bikes. /YEAR:1999 or greater. Bike must have two seats and rear passenger handle or equivalent. This bike has recently been serviced and inspected. New air-horn system with high power instant compressor. Plus, 40amp relay. Loud and sounds awesome. Update:30/05/14 - Replacing with newer front forks sometime soon. Will provide receipt if done. Left fork tube is fine. Will lower price fairly if you want to do forks yourself. 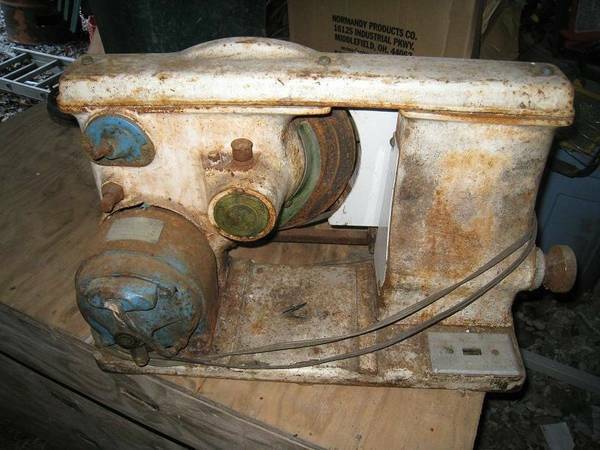 A few things you should know that I didn't know when I bought it off another craigslist owner. All the things replaced were necessary because he sold me a broke, NOT REBUILT bike. Thankfully I've invested in it and repaired it! It has been dumped slightly. 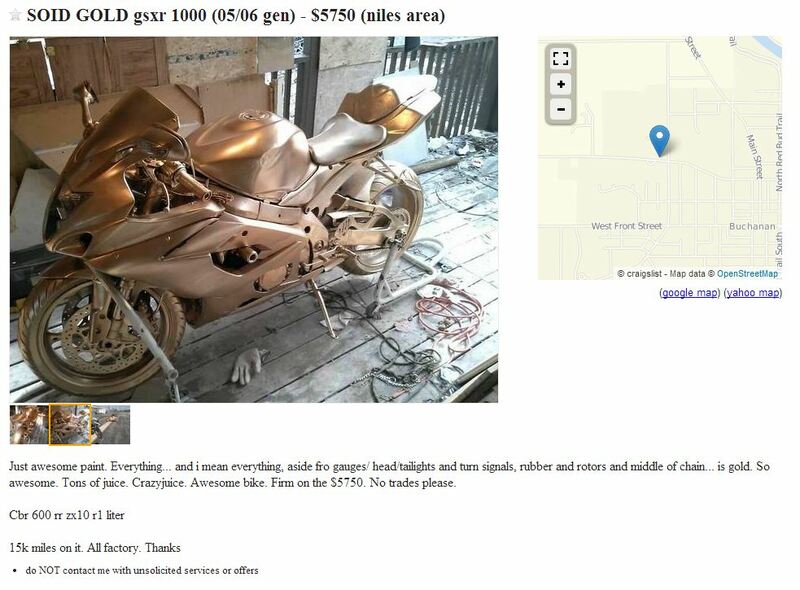 The bike also has been painted over by previous owner. Bike is not a rebuild! No major accidents. Lastly depending on the type sport touring type motorbike! I'll add cash depending on bike. That being it's over 600cc. Hopefully over 800 or 1000. Lots of power... Ect. NO other trades! NO low-ball! NO test rides unless money is in hand (Me holding it). No paypal! No shipping. You drop it, you'll buy it. It's insured so you may try. Also, I can throw two full face modular helmets. Each are two sized Medium:Small. They're SiGi-Drifter S-M. Cheek inserts are washable and swappable sizes! Here's my YouTube video of the bike. It's outdated as the color has changed as with the fairings! Seat height:	820 mm (32.3 inches) If adjustable, lowest setting. Also, there is USB for GPS attachment. It's a cord. Lastly. If this Ad is up it's still for sale. I'll take it down when it's sold. 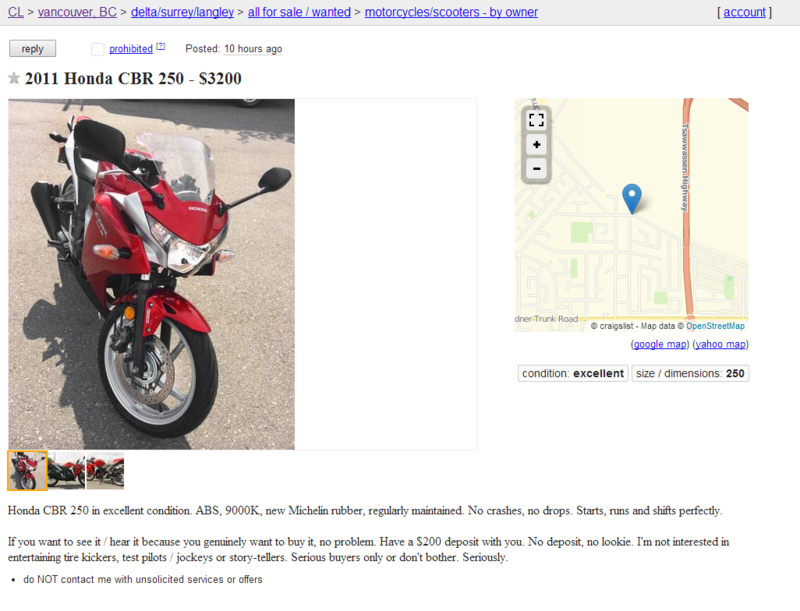 "Like new, just needs new fairings, and mirrors, maybe a seat? If you're going to do this, please remove the seller contact info. Do not post direct links. We don't want to have a thread advertising stuff for non members. We post links for ebay stuff all the time? Someone wants parts etc... I don't get it??? 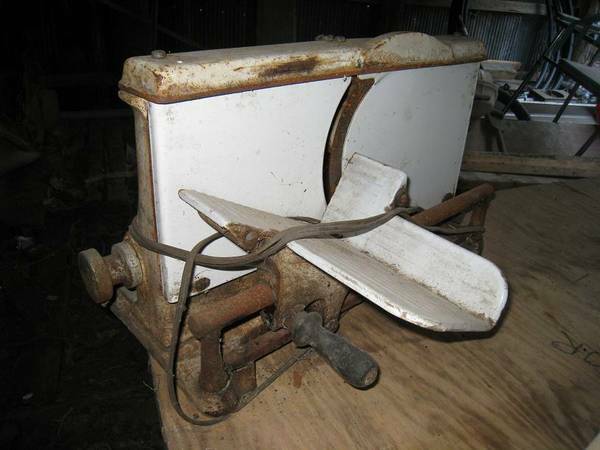 I've been shopping around Craigslist for a commercial quality meat slicer for a reasonable price. This one isn't quite what I had in mind. Ever paid a deposit to see a bike? Quick Reply: Post your worst craiglist etc... ads.